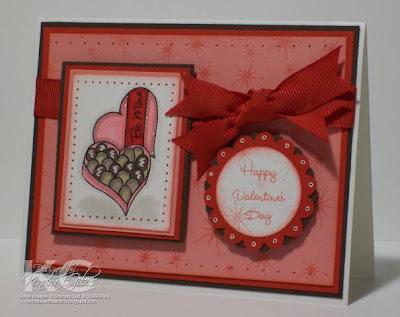 I grabbed a couple of different MFT sets to make this card - Be Mine, Icing on the Cake and Hearts Galore. I grabbed my copic markers and colored the box of chocolates - then used my clear glaze pen to go over the chocolates and my white gel pen to create "icing" on the darker chocolates. It looks yumm-o! 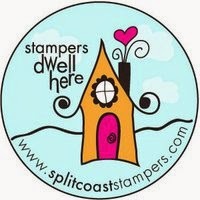 My Favorite Things (www.mftstamps.com) is having a New Release Cocktail Party today, February 6 from 9-11 p.m. Eastern time. 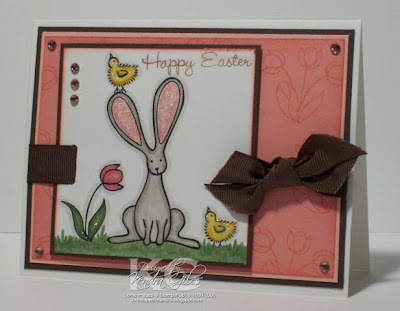 Lots of fun is planned including finding out how YOU can be the next MFT Guest Designer. Head over to the MFT forum to find out all the deets! 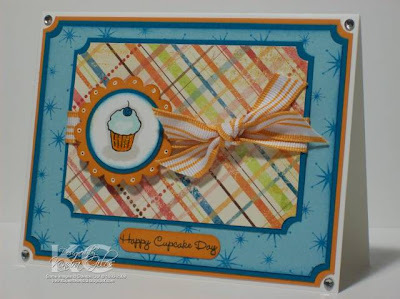 Accessories: Scallop Circle Punch, Circle Punch, Paper Piercer, SU! Mat Pack, White Gel Pen, Clear Glaze Pen, Copic Markers, 5/8" Grosgrain Ribbon, Dimensionals. Okay seriously, check out that bunny............is he not the cutest?!!! I absolutely LOVE his ears!!! This is one of the new sets that MFT will be releasing tomorrow night - come on over and party with us in the My Favorite Things Forum on SCS from 9-11pm EST with the sets going live at 10:30pm. The other two sets that will also be released are - Serenity Now and Twisted Sentiments. Yes, that's right - Twisted Sentiments.........you won't want to miss those because they are hysterical! 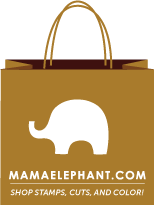 Congrats to Denise who was the winner of the Hanna Stamps and My Favorite Things Blog Candy! You are gonna absolutely love those sets Denise! I have been working fast and furious on card orders, valentine gifts and of course trying to finish up Kelsey's baby shower invites. I will be back soon with another post! Accessories: Gemstones, Dimensionals, Copic Markers, Stickles, 5/8" Grosgrain Ribbon.